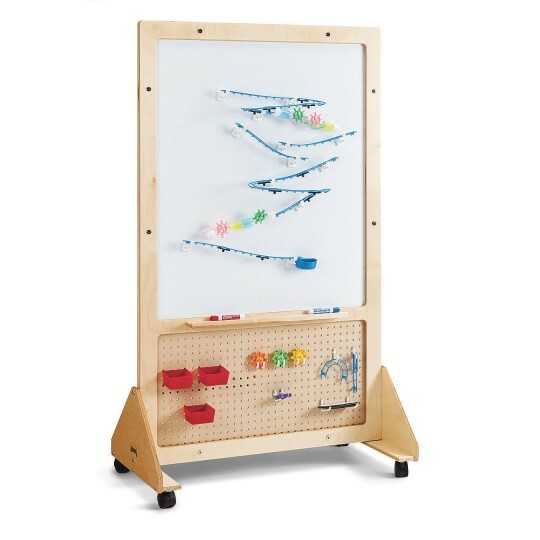 Perfect for projects on all learning areas! 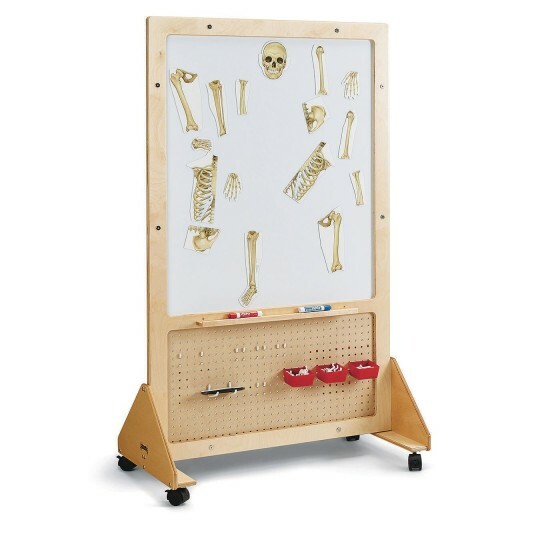 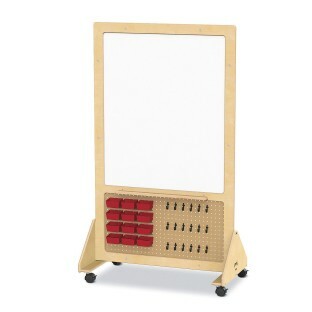 This mobile display board is perfect for STEM and STEAM (Science, Technology, Engineering, Art, and Math) projects in all learning areas! 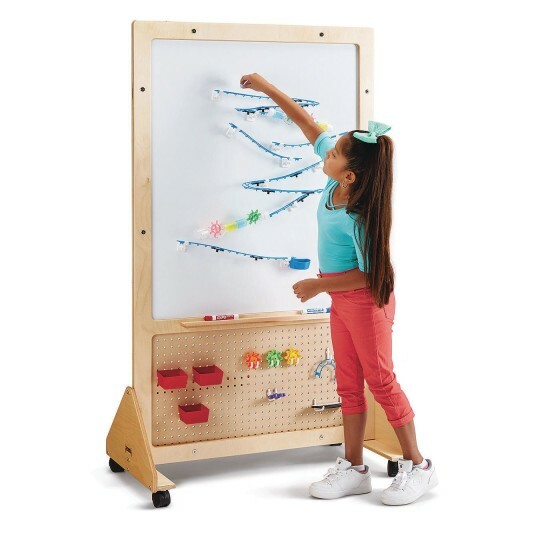 The double-sided Magnetic Write-n-Wipe panel provides a dedicated place for kids to write down their ideas and to work out problems visually. 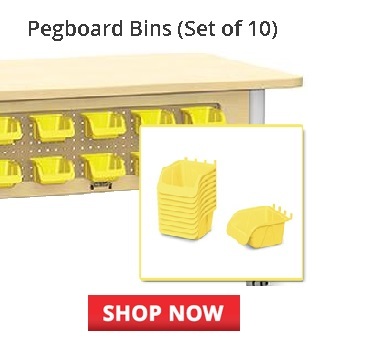 A Pegboard panel below allows you to add pegboard bins or hooks (not included) to store various tools and supplies. The board features a marker tray on both sides and 2” locking casters make it easy to move around a space. 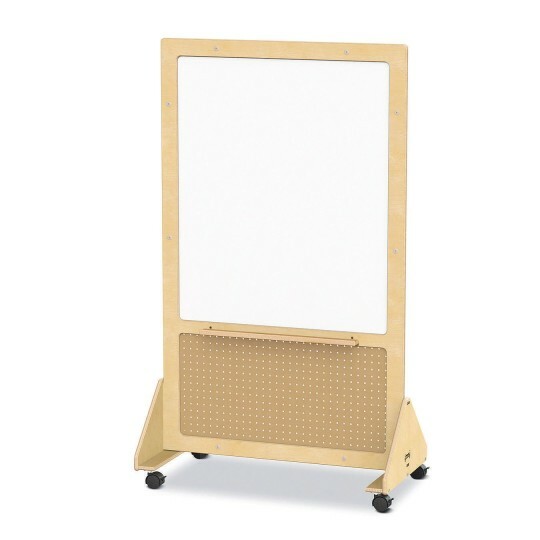 The Magnetic Write-n-Wipe Panel is 30-3/4” wide x 37-3/4” high while the Pegboard Panel is 30-3/4” wide x 14-3/4” high. 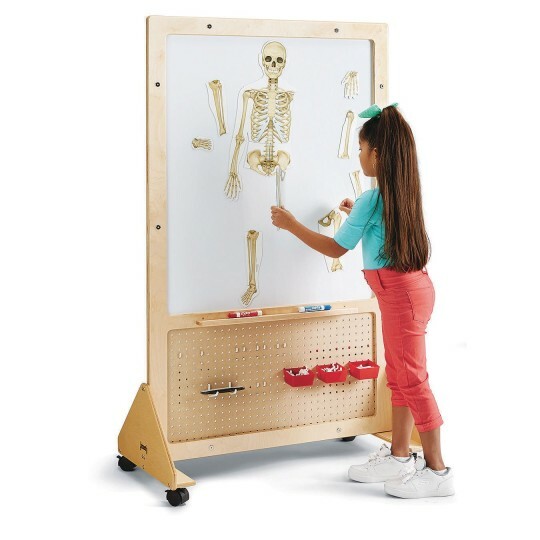 Assembled Width 37" Assembled Height 62.5"